LOOK: Is Jennylyn Mercado launching her own YouTube Channel? The Ultimate Star on an Instgram post shares that something is brewing soon. The photos shows Jennylyn with long-time boyfriend Dennis Trillo in what it seems like a jamming session. Jennylyn also hinted that whatever it is, it's coming in a "hot YouTube minute". Could the Kapuso superstar be launching a YouTube channel of her own? Your guess is at good as ours. GMA Network brings together for the first time Jennylyn Mercado and Gabby Concepcion in a romantic comedy series entitled 'Love You Two' directed by Irene Villamor. Also starring Shaira Diaz, Nar Cabico, Kiray Celis, Jerald Napoles, and Clint Bondad. 'Love You Two' is set to air this April on GMA Telebabad. 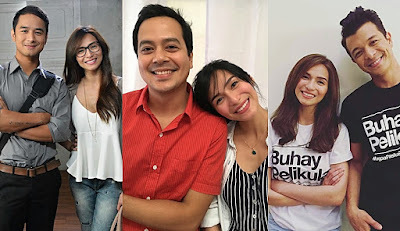 GMA Network's homegrown star Jennylyn Mercado has reached universal leading lady status as she can be paired with various leading men and still build chemistry. Check out the Kapamilya leading men Jennylyn Mercado has been able to work with in the past. 2) Regal Films' 'The PreNup' marks the first ever team up of Kapamilya heartthrob Sam Milby and Kapuso leading lady Jennylyn Mercado. 3) In 2015, Jennylyn starred with seasoned Kapamilya actor Jericho Rosales in the box office hit and critically acclaimed MMFF film 'Walang Forever' where both Mercado and Rosales won the top acting awards at the MMFF Gabi ng Parangal. Clint on working with Jennylyn: "Always a pleasure with this lady." Clint Bondad describes what it's like to be working with the Ultimate Star Jennylyn Mercado. The new Kapuso actor says its is a pleasure to be working with her and described the Kapuso actress as the "hardest hitter in the industry." Jennylyn and Clint are working on the upcoming Kapuso soap 'Love You Two' which stars Mr. Gabby Concepcion also. LOOK: Jennylyn Mercado In Hot Pink, Looks Like A Living Doll! 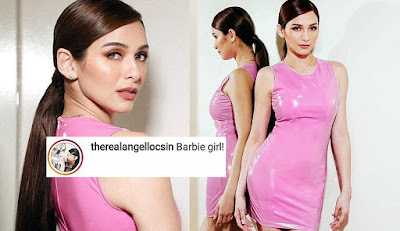 Jennylyn Mercado in hot pink is giving all of us "Barbie" feels! The Ultimate Star flaunts her curves in this body fitting dress and netizens including celebrities like Kapamilya actress Angel Locsin described Jennylyn as "Barbie Girl." Check out Jennylyn's photos below.